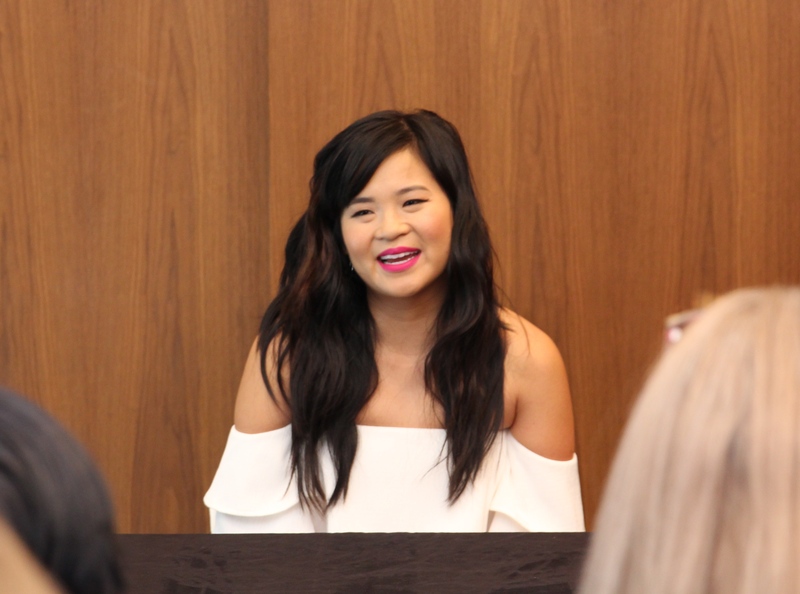 If you are wondering who is Kelly Marie Tran, you will know now. 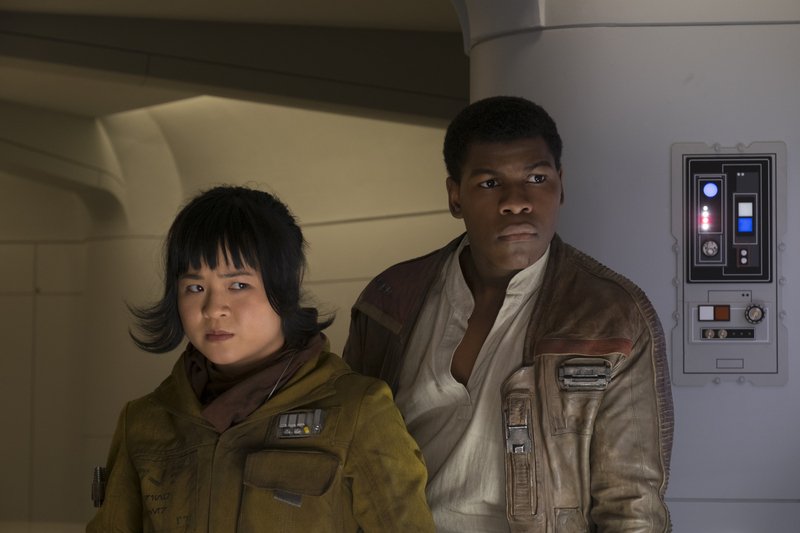 A 28-year-old San Diego native who plays the role of Rose Tico, a Resistance mechanic, in the latest Star Wars movie. She is more than just another strong female character. She happens to be Asian, giving young girls that look like her someone they can relate to, both on and off the screen. In this exclusive interview, she talks not only about being very normal and trying to adjust to a world she’s dreamt of being part of, but still hasn’t grasped what all of it means. So who is Kelly Marie Tran? Rose Tico The Last Jedi interview will answer that and more. You know? I am feeling a lot of emotions. Like, I feel like I’m feeling every emotion on the spectrum. But it’s good. I’m just trying to take in every moment, and really be present here. How did you get the role of Rose Tico? The first audition I had was back in 2015. At this point, I had been pursuing acting for about seven years. 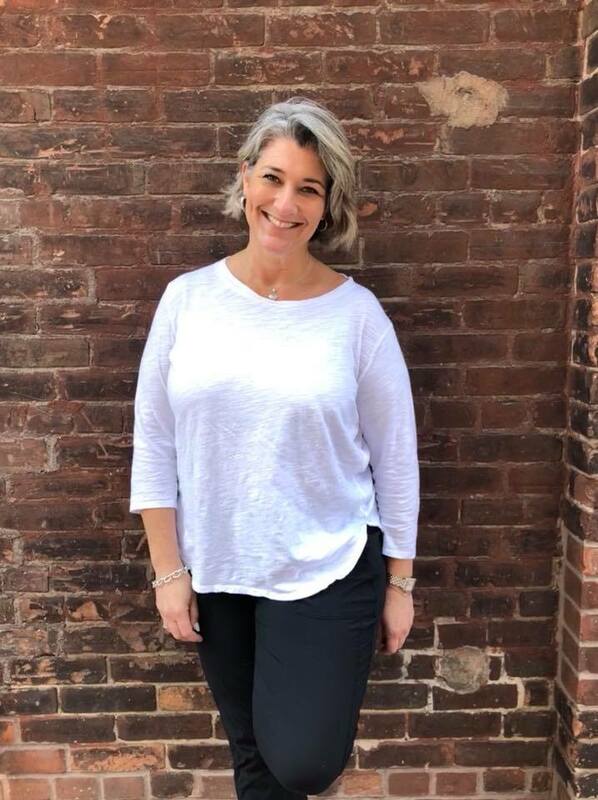 up to then, for one reason or another, I couldn’t get… I mean, it took me years to just get a commercial agent, much less a theatrical agent. And then it took me years to begin auditioning for commercials and TV. I never could get into the room for movies. This is probably one of the two or three movie auditions I ever was allowed to go to. So that first audition came in, and I remember thinking, like, okay. Like… This is crazy. There’s no way I’m gonna get this. And so that feeling traveled with me from the beginning to the very end. And it served me because I was so sure in my mind, and in my heart, that I wasn’t going to get it, that I was free to be present and have fun. There was none of this, like, oh my god; I’m gonna get this. There was none of that. It was, like, there’s no way in hell I’m gonna get this. I’m just gonna have fun with the people who are here. I want to have fun with John, like, at this test. I want to have fun with Rian. Like, in taking his direction. And I think that that served me in the end. So, yeah. It was a five-month audition process. And it included a surprise chemistry test with John Boyega. And then… Yeah. And then the final test was in London in, like, full hair and makeup. There was this set that they had built. It felt like we were shooting the movie. And the whole time… And still now, I’m just still trying to be present in all of it. How’d you find out you got the part? Yeah. So I was still working my day job. I was working at an office as an assistant. And I got this email from my agent, or a call from my agent saying that Rian wanted to meet with me before the Thanksgiving break. This is November of 2015. So remember saying I had to go to lunch. And driving over to this meeting, and just feeling, like, how almost I feel now. Like, I just have the goosebumps, and I was, like, oh. Like, either he’s gonna be, like, you have it, or it’s gonna be, like, ‘look, nice try kid and just wanted to say good job.’ Which was possible! And I had imagined this moment. I’m, like, gonna cry right now. I had imagined this moment for so long. And… Oh my god! This is crazy. I’m sorry. I had imagined this moment for so long, and I thought that I would be, like, so ecstatic, and I’d be jumping up and down. And when it happened, I was so scared. I just was silent for a full minute. Like, I was just staring at the floor, like, oh my god! I was treading water for so long; I never thought I would get to the end of the pond. Or the lake. Whatever it’s… I don’t know; I made that up just now. Says a lot more about everyone else involved than about me. Everyone was so welcoming and open. I don’t know that as an actor you could have a more fulfilling experience than that. Just the ability to collaborate, and, like, really work with people. So yeah. Does that answer your question? What did Star Wars mean to you growing up? That is a funny question because I think, and I’ve heard Daisy say this, too. Star Wars is such a family… I cried all over this, so I hope they can have another one. It’s such a family-oriented thing. And so a lot of parents had seen the original movies. You know, passed on to their kids, and dadadadada. My parents, when the first movies came out, were still in a different country. My parents are both Vietnamese refugees. They aren’t from this world at all. They don’t work in entertainment. This is a very, like, weird thing that I think I have trouble understanding. But they’re having a real hard time understanding. So growing up I didn’t watch Star Wars. I was aware of it. I never really saw it. And I think that that gave me this kind of wonderful freedom. When I was auditioning for this movie, I never thought to myself, oh, what- – How can I make this more like something I had seen? How can I make this more like the characters that are so iconic to all these people? I had this gift of being able to look at that paper, and just be what I thought was honest. And what I thought I… Rian had written onto that paper. So… Obviously after you get it, you, like, watch all these movies, and there’s nothing but just amazement for how… And especially those original films. You watch them now, and they’re still incredible, and… And how innovative they were at the time, and the idea that they were so groundbreaking when they first came out, I… I do think that they continue to do that in this film, that… In ways, this film will also be groundbreaking. And… So yeah. It’s been a weird, long journey. The character of Rose has done so much for diversity in film and changing our perspective of Star Wars. 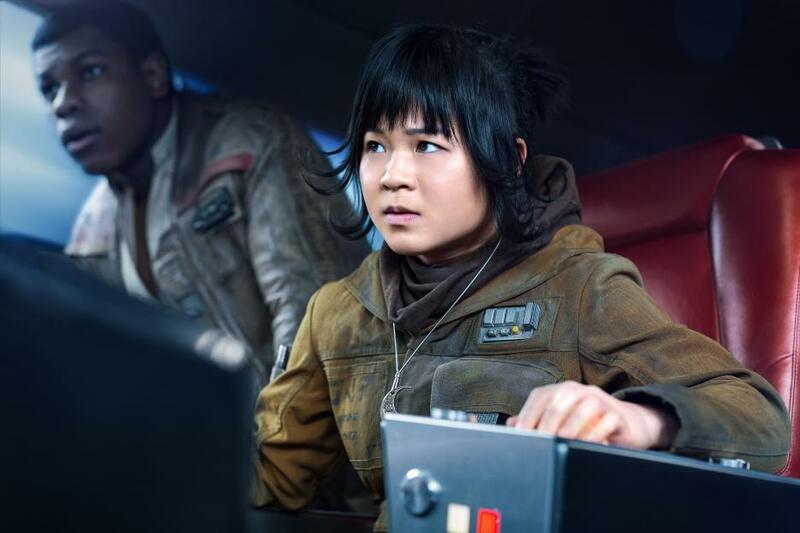 What are you hoping that Rose’s character accomplishes once we see her in action, for yourself and for future Star Wars generations, who now can look up to a strong female Asian role model? I thought about that a lot. And it feels like such an honor, but also a lot of pressure. I knew what it was like to grow up in a world where I never saw myself in anything. I would like to hope that in some way… this character is such an example of someone who doesn’t necessarily belong in this world. She works in maintenance. She works behind pipes all day. She’s not a star pilot. She doesn’t have magical powers. She’s not a princess. She’s someone who is just every woman, essentially. You don’t necessarily see in these stories, but that is so crucial to the idea of the resistance. Without these people that are fixing the ships, like, Poe couldn’t fight the First Order! So of course they’re important. But no one ever really sees them or talks about them. They’re always just running around in the background. If this character could mean anything, I hope that she portrays the idea that even if you are someone who’s kind of in the background who’s not in the spotlight, who’s not a princess you can still make a difference. You can still rise to any challenge that comes to you. What is it like to be part of the Star Wars merchandise? Ooo! It’s bizarre. It’s insane. I don’t know that I understand it at all. I feel like whenever I see something with my face on it, I’m just, like, ‘that’s not me.’ It’s like a very out of body experience. And because this movie hasn’t come out yet, and because I think I’m just very normal looking. I dress very normally in everyday life. I’ve never been recognized outside of being in association with the cast. Like, if I’m at an event like this, obviously people are, like, she must be this person because she’s with that person. But other than that, everything in my life is normal. Like, I run outside, and I go to the grocery store, and no one’s ever recognized me. I’ll have to let you know! Oh! But yes. So having merchandise and things like that, it doesn’t register with me still. I don’t know that it ever will. You’ve been trying to put yourself out there more. Can you walk us through that process? Yeah, I absolutely can. I never thought that I would be in a position where I would be in a movie like this, and then possibly have a choice regarding what projects I did next. I never knew that I would have a voice. And so when I finished this movie, I ran away. For seven months I went to travel by myself. And I went to have this kind of Eat, Pray, Love moment. I wanted to center myself and think about why I got into this in the first place. And what does that mean? I tend to overanalyze everything, but I do think it’s important to consider what you put out into the world. There’s so much noise now, so much of ‘look at me! Look at me!’ I didn’t want to be part of that noise if that’s possible. And I just remember thinking how scared I was. I wasn’t on social media for a very long time. And it’s because I was scared of being seen and being honest in that way. We talked about this before in the press conference, but I think that Carrie was such a great example of that, of just being always seen openly, honestly, unapologetically, and not being ashamed of who she was. I think that I want to try as much as I can to be that way. I think that we live in a world where we tend to hide a lot of our flaws, and we try to put on makeup, and dresses, and all these things. If we all just were okay, and open, with all of our insecurities, ’cause we all have them, and we’re all not perfect, then maybe the world will be better. So, I’m trying to do that, and I’ll let you know how it goes! I think that I don’t know how to date anymore. I mean, I had trouble dating before, but if you’re talking about personal life, I’ve never in my life had to think to myself, what would it be like if I had to question every person that wanted to date me in the future? This sounds like such an actor problem. How about playing Rose, has that affected you? I love this character. I think that she’s amazing. She’s different. A lot of the things that she goes through in this movie, I relate to on a personal level. I always knew what I wanted. I always believed that if you work hard and you’re a good person, you will get where you want to go. But experiencing it is a whole different thing. And I think if you’re talking to me, like, personally, spiritually it’s changed the way I look at the world. I really want people to know that if your parents are not in this world; if you have no connection to it; it seems impossible; if you’re working, like, four jobs to support it, you can’t pay off your student loan bill; you’re worried about all that stuff, and you still want to do this; if you keep going, and you put your head down, you just ignore the parties, and ignore all the people that don’t believe in you, I just think it’s possible. I always have. But no, I believe that even more so. But yeah, I also don’t know how to date. Do you think Rose is envious of not being out there? So she has an older sister named Paige. Who is at the forefront of the action. She’s a gunner, and she fights alongside Poe, who’s, like, the hotshot pilot in the resistance. There was probably always a part of her that secretly wanted to be part of that. But I also think she’s really good at what she does. And I think that she knows. Which is something I think is hard for people to realize, right? We live in this world where everyone wants whatever’s flashy. Everyone wants to be in the front. Everybody wants this, this, and that. And I think Rose is one of those people that does understand that those people who are out there at the forefront of the action cannot be there without everyone else behind them, right? You’d be fighting the First Order, and your ship would just fall apart. And this is, I think, a metaphor for real life. A lot of the things that I’m doing now. You think I look like this in real life? No way! There are a lot of people that get me looking like this. And it’s all the same thing! I’m new to this movie world. A lot of times actors get so much credit for something that so many other people are working on. The way I look is, like, four or five people, and, and even this movie, Rian wrote it. All the people that created the sets, and the creatures, and the stunt team teaching us how to fight! Everyone who’s kind of out there in the forefront in this shiny place that everyone gets to see. There are hundreds of people behind them that put them there. So I love that Rose is this metaphor for that, and I think she understands that. 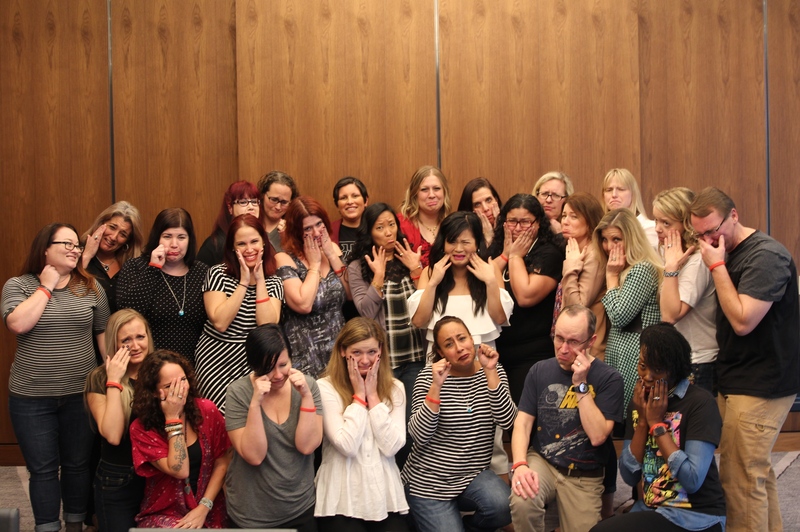 Kelly Marie Tran insisted we take a “crying” photo since she broke down a couple of times during the interview. She is an awesome lady and one we will bee seeing more of no doubt. STAR WARS: THE LAST JEDI Now in Theaters! Hey Buddy!, I found this information for you: "Who is Kelly Marie Tran? Rose Tico The Last Jedi". 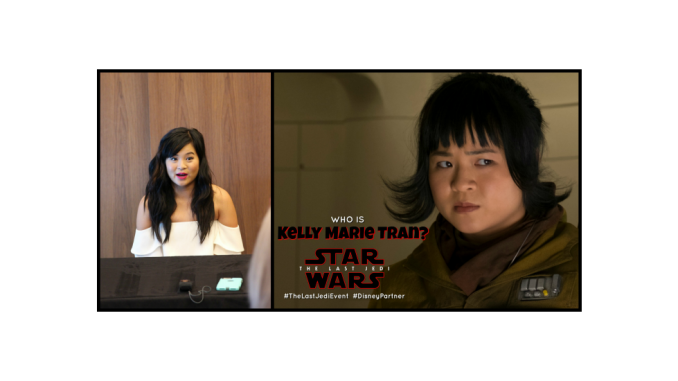 Here is the website link: https://www.trippinwithtara.com/who-is-kelly-marie-tran-rose-tico-the-last-jedi/. Thank you.